Folks, I would highly recommend getting over to NOMA on July 6th to see my friend Sharon's documentary, My Louisiana Love. I had the pleasure of seeing it in a small setting with some of her Houma Nation relatives and it ripped my heart out of my chest. 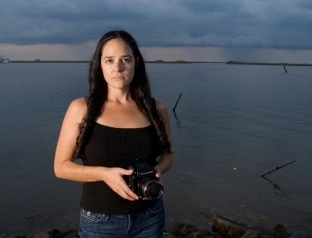 NOMA is proud to present a documentary screening of, My Louisiana Love, directed, co-written and co-produced by Sharon Linezo Hong; co-produced and co-written by Monique Michelle Verdin at 7:45pm on July 6th. It was particularly moving to me because part of the film profiles Sharon's relationship with my friend, Mark Krasnoff. Watching him in this film and understanding what was happening in Sharon and his life in the days following Katrina filled in a lot of blanks for me but it also yanked my heart out watching him on screen again. This is Sharon's first film and she tells a magnificent, heart wrenching story. She lays her life out on camera and that is no fickle task. Go see the film, folks.